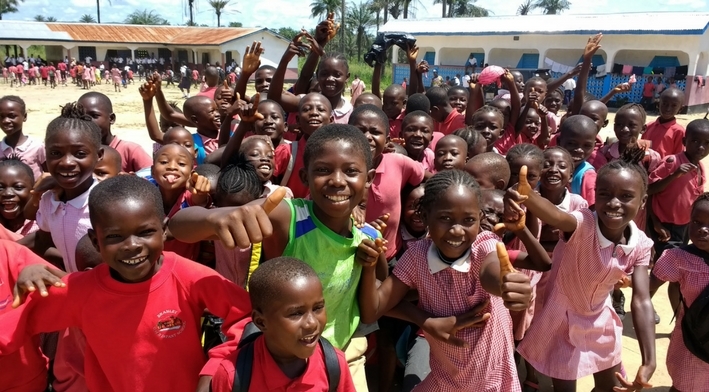 The David School in Sierra Leone was set up over 10 years ago to offer free education to children of the village of Mile 36 and the surrounding area in Sierra Leone. The school now has around 300 pupils and a water pump to provide clean water for pupils and the village. The David School represents opportunity. We’re running this campaign with One World Play Project to raise ultra-durable One World Futbols, soccer balls that never need a pump and never go flat, for The David School. Unlike standard soccer balls, which puncture and break easily on rough terrain, One World Futbols are proven to last. The One World Futbols raised through this campaign will be used a bit differently between the older and younger children. For the younger children, a short, supervised game between lessons can help keep their attention on their work when they are back in the classroom. The older children are more likely to be playing at lunchtime and after school. We plan to have a ball per class, so multiple classes can play at the same time and that the smaller children do not miss out. When we last took a ball out, we briefly tested asking a few of the senior pupils to organize rotating games after school. This seemed to work well—though we had to put a time limit on the games as some children need to walk more than two miles home. The pupils have also organized several “teams,” including a girls’ team, that train some afternoons after school. They have mostly been training without a ball, so the One World Futbols will make a big difference. 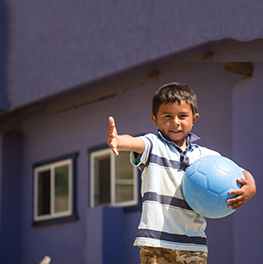 Through the Give Balls program, you can buy a One World Futbol that will be given to The David School. Through this campaign, we want to raise more than 15 One World Futbols.